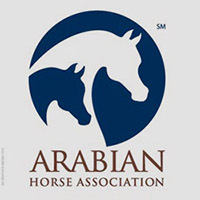 Aurora, CO (September 15, 2011) – The Arabian Horse Foundation (AHF) has announced $10,000 in grants for rescue and rehoming requests for 2011. The grants complete this year’s funding support in the Foundation’s three areas of focus: Scholarships, equine research, and rescue/rehoming. A total of $36,000 has been committed for the coming year, making a total of $135,000 distributed by the Foundation since 2007. “The Foundation board is pleased to distribute $10,000 in the coming year to rescue and rehoming,” stated Larry Kinneer, AHF President. “There have been a number of weather-related catastrophes over the last year impacting horses and those who support rescue in such situations. 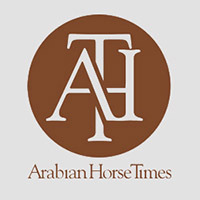 We’re setting aside more funds to help when national emergencies occur.” The AHF is the philanthropic arm of the Arabian Horse Association (AHA). The Foundation directed $4,500 for emergency relief with funds to be divided when the need arises. This year, the Foundation has provided emergency funds to a rescue operation in a tornado stricken area, funds for another rescue operation suffering damages from Hurricane Irene, and additional funding involving a horse starvation situation in Arizona. Most recently, the Foundation provided funds for rescue efforts involved with the Texas wildfires. For 2011, the Foundation granted Santa Barbara Equine Rescue and Evacuation $1,000 to assist with efforts to acquire a life-size, life-weight training mannequin for use by the agency in their training programs. They offer training for organizations such as law enforcement bodies to educate officers about the handling and extraction of horses trapped and in need. The training mannequin will help tremendously in the Santa Barbara’s group to educate how to handle large animals in emergency situations. Another $1,000 will go to the American Competitive Trail Horse Association, an agency dedicated to demonstrating the value of many horses that end up in rescue situations. This group is initiating a new program, entitled Diamond in the Rough, which will recognize the accomplishments of rescued horses in their various competitions by offering high-point awards. The AHF grant will underwrite the initiation of this program. Many Arabians are part of those competing. Beauty’s Haven Equine Rescue, a Florida-based rescue operation, will receive $1,000. This group has been known to take on some extremely difficult rescue situations, demonstrating compassionate care for any horse needing their help. They communicate consistently with supporters focusing on keeping them informed and involved. The Foundation granted $500 each to the Arabian Rescue Mission and to the Saffyre Sanctuary. Both of these organizations have impressive track records and have a spirit of cooperation in helping horses, particularly Arabians in need. Another $1,000 has been set aside for potential equine assistance in a seizure situation. Final dissemination of funds will be determined by the necessity for feed, dental and medical needs of the horses involved. The $10,000 completes the funding cycle for 2011. Earlier this year, the Foundation committed $13,500 to youth scholarships and $12,500 to equine research. The Foundation has advisory panels made up of nationally known experts in each area of funding. They review requests and make recommendations to the AHF board of directors. “The Foundation has made significant progress since it was re-launched in 2007,” Kinneer said. “It is through the generosity of our AHA membership that we are able to fund and support needy projects such as those we have funded not only in 2012, but in the past.” Other members of the AHF board include: Lollie Ames, Jim Cada, Frank Galovick, Nancy Harvey and Terry Johnson. 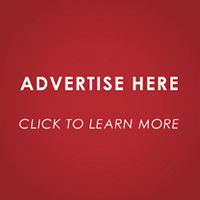 It is possible to contribute to the Foundation by making a direct contribution and sending it to the AHF Treasurer, Jim Cada, 1024 K. Street, Lincoln, NE, 68508; by making an on-line contribution through PayPal, or by checking off the donation box on the AHA membership application/renewal. When making a direct contribution, it is possible to direct where you want your donation applied. For more information about the Foundation and to see the progress your dollars have helped make possible, go to the web site at www.arabianhorsefoundation.org.